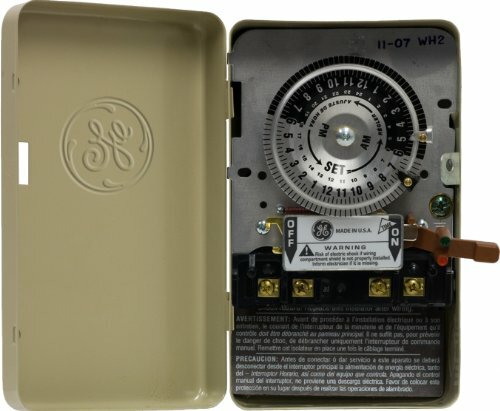 The GE 24-Hour Indoor Heavy Duty Mechanical Water Heater Time Switch is ideal for use with fans, pumps, water heaters, AC, and more! Its heavy-duty, metal construction and lockable, tamper-resistant metal case make this timer durable. Easy to install with 3/4 " knockouts. Easy to set, and includes a manual override switch.